-Faheem Savja, 2018 World Partnership Walk TD workplace Team Captain, Toronto, ON. 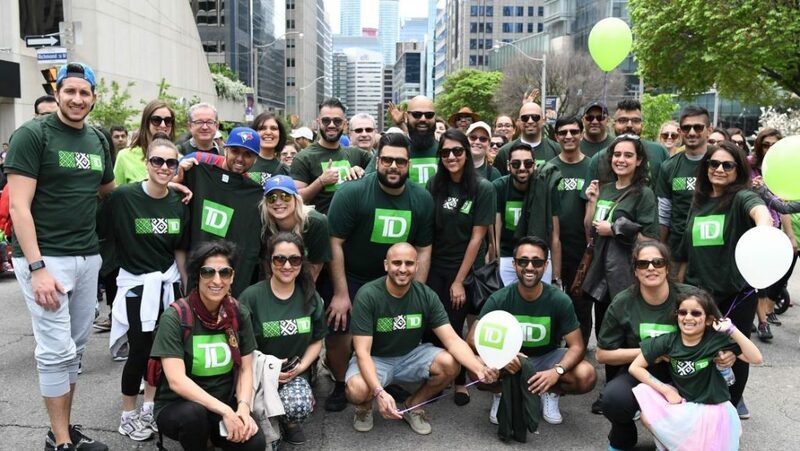 Faheem Savja and Jamil Daya, founding members of the Toronto TD workplace team and joint 2018 Team Captains, believe there are many benefits to starting a workplace team for World Partnership Walk. “Starting a team has allowed us to connect with TD leadership about an initiative that was not work-related. In a way, it served as a means to get to know our own management and work team better,” Faheem says. With the support of senior leadership and 111 team members, Faheem and Jamil’s team was able to fundraise their way to success with an impressive $13,376 raised for the 2017 Walk. Both Farheem and Jamil grew-up participating in the Walk. For them, bringing their colleagues together on Walk day is a real highlight. “Walk day is always a blast! You meet new people from your own organization, and end up realizing that you may have a personal or professional connection to them already. It really is a great time and an opportunity to learn about your colleagues in a fun an informal setting,” Faheem says. “It gives your co-workers the opportunity to be a part of something bigger than themselves and the opportunity to feel good about making a difference,” explains Jamil. Forming a workplace team and partnering with World Partnership Walk also brings benefits to TD as an organization. Not only is it an opportunity to bring staff together in an engaging and meaningful way, “it’s also a great opportunity to increase brand awareness in the community and maybe even engage in a little friendly competition with other workplace teams,” explains Faheem. This year, the TD team is hoping to inspire more colleagues to come on board so they can make an even bigger impact for communities overseas. Join hundreds of workplace Team Captains across Canada, like Faheem and Jamil, who are dedicated to making a long-term impact for communities around world. Inspire your workplace to step forward, come together and fight global poverty! 2018 registration opens March 6!